Want more humility? There's a prayer for that. The virtues come braided, which is why the strength, or the weakness, of one virtue effects all of them. If you’re not particularly good at one virtue, strengthening the others will help. Trouble is, weakness in one virtue draws down the rest. That’s why the church, in its fascination with the number seven and its sense of balance, opposes seven virtues to seven deadly sins: humility against pride, kindness against envy, abstinence against gluttony, chastity against lust, patience against anger, liberality against greed, and diligence against sloth. Virtues and vices are interwoven, braided together. This interdependence should not surprise us. It is why coaches and teachers insist that we develop all of our skills, not just the ones we already possess. And given that human nature emerges from divine nature—we were created by God and in the image of God—it should not surprise us to realize that virtues and vices reflect upon, and are rooted in, our relationship to God. This is certainly true of humility and pride. Both say something about our confidence in God, our trust in God’s goodness, or the lack thereof. If we truly confide in God we can be ourselves; we can be humble. If we do not, we expend energy creating, and clinging to, false securities, unreal identities. 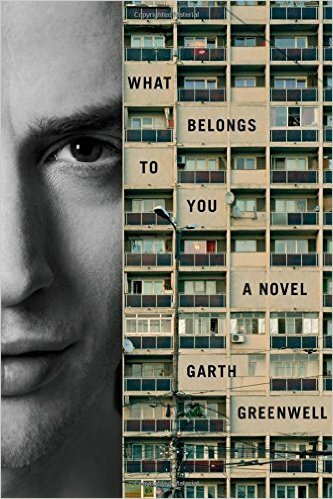 In his debut novel What Belongs to You (2016) Garth Greenwell creates a beautiful scene, tangential, yet targeted, to the story that he tells. His protagonist sips a cup of coffee, outside an Eastern European café, astride a river. Children were playing by the water with balls and sticks and plastic guns emitting light and sound. As I watched them, ignoring the papers I had brought with me to grade, I noticed a younger child, maybe three or four years old, standing apart from the others. She stood at the very edge of the water, and close behind her crouched a man I took to be her father. Again and again, as I watched, this girl, anchored at the waist by the arm of the man behind her, leaned perilously forward (though there was no peril) over the sharp bank, looking down at the water rushing two or three feet beneath her. Repeatedly she leaned forward and repeatedly sprang back, returning to stability with delighted laughter. The fourth or fifth time she did this, she leaned out even farther than before, so that the man had to extend his arm away from his body, almost as far as it would reach. This time she didn’t laugh, as if surprised and maybe unnerved by her own audacity, the risk she took in leaning out so far, which of course wasn’t a risk at all with her father’s arm around her; instead, she threw herself back against her father’s body and, reaching her arms up to clasp his neck, pulled his head down (or maybe she didn’t have to pull it down), embracing it close to her own. Only then did she laugh, with her father’s body folded around her; she laughed with a joy it was difficult for me to recognize, so certain it seemed of a home among the things of the world. They embraced for a long time, a kind of physical contact seldom seen in public, maybe seen only between parents and their very young children, an intimacy confident of absolute possession. Perhaps here, I thought, was a wholly untheatrical embrace. I wasn’t the only one moved, I could see others watching them too, smiling and wistful, maybe a little melancholy, as I was, with the sense of both my own exclusion and of how quickly those embraces would pass. They would take on different meanings as the child grew older, they would be impermissible; the same touch that here warmed our hearts would in just a few years elicit our disapproval, our concern, finally our scorn. And so it is, I thought then, as the man and his child released each other and moved away from the water, so it is that at the very moment we come into full consciousness of ourselves what we experience is leave-taking and a loss we seek the rest of our lives to restore. The man and his child returned to their table, the girl running ahead to a woman who bent to lift her into her lap, tickling her a little so that I heard her laugh over the sound of the water. For a moment at least it seemed plausible, the story I told about the sense of dislocation I so often feel, which was eased for the few hours I slept embraced by Mitko, the embrace I returned to in my thoughts, as I watched the child and her father by the river in Blagoevgrad (33-34). God created us to live in the security and empowerment of unconditional love. That’s how God always loves us, even when we can’t see it. We can fail to see God’s love if our vices have weakened our virtues. Sadly, it may also happen through the sin of others, part of the mystery of evil that the church recognizes in the doctrine of Original Sin. We are wounded by sin even before we begin to hurt others. Pride replaces humility when we no longer trust that God will hold us. We begin to think—without ever really reflecting—that God won’t be there for us and that we would do well to rely on our own strengths, our own projections of self, which we think that we rather successfully seed amongst others, not realizing how easily others can see through these. One doesn’t become humble by gritting one’s teeth and exerting effort. It comes by the grace of God, through our deep inner conviction that we need not pretend to be something we’re not. Sometimes, pondering the false selves, which we project, helps us to see how far we are from this goal. In the end, we were created by love and created for love. It’s only love that can make virtues grow and vices decrease. That’s why St. Thomas Aquinas taught that charity was the core of the virtues. It’s also a theological virtue, meaning that is one of the spots in our human lives where we touch God. Love lowers the pretensions of pride. Love enables humility. and you will find favor with God (Sir 3: 17-18). Garth Greenwell wrote, “so it is that at the very moment we come into full consciousness of ourselves what we experience is leave-taking and a loss we seek the rest of our lives to restore.” That’s original sin, and only original love can restore what love first created. Pride isn’t the answer to our fears. Humility is. If you lack humility, pray God to gird you life with love. Then, like a small child, you will be happy to be only yourself. You will be humble. All of the cardinal sins are about power over other people. The desire for power over others should be the definition of Original Sin. Growing in virtue is a process of giving up the desire to be better, stronger, or holier than others and to have more than others have. As Fr. Klein has said, Humility is Truth, recognizing that, “I am who I am, nothing more, nothing less.” Jesus, Who is Truth personified, said the same thing, “Learn of Me, for I am meek and humble of heart.” Why? So as to find “rest,” Jesus said. Humility, then, is restful, evidence supports it, but experientially not always recognized. Obviously the humble person is not vain , not conniving, because Humility, calls the shots! Seems to me Humility is many things, a powerful light, illuminating all the other Virtues, a teacher instructing how to practice Faith, Hope, Charity in which all goodness resides, the bed, pillow and blanket of a Godly life. Rooted as it is in the Spirit of Truth, of Holiness, Humility is life’s Comforter – something like Linus’s “Security Blanket?” I think so. Possess it and everything worth having falls into place. I wish I had it, pressed down and running over. Truthfully, I think I may have some and boy, am I proud of it!